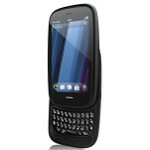 Who can forget the introduction of the Palm Pre back in January 2009. With webOS on board the handset was immediately proclaimed the next King of the smartphones and a worthy heir to the Apple iPhone. But Palm misjudged the importance of having a fully loaded app store at launch, and gave the public an advertising campaign that was hard to decipher. A few months after the Pre launched, the Android Invasion started and the DROID Does became the DROID Did and Palm had blown a golden opportunity. Fast forward to present day and HP is now the parent of Palm and is about to launch the HP Pre 3. The Palo Alto based firm has improved upon the phone's specs pumping up the processor to a zippy 1.4GHz. The screen has been increased from 3.1 inches to 3.58 inches. Resolution has also been raised from 320 x 480 to 480 x 800 pixels. The camera on back is now 5MP, an improvement from the 3MP shooter on the original, while a .3MP VGA camera graces the front of the unit. The U.K. based Play.com web site shows that the online retailer is currently taking pre-orders for the device which it says is expected to ship on July 8th. As far as a Stateside launch is concerned, we earlier reported that Verizon appears first in line to launch the HP Pre 3, showing you pictures of a Verizon branded unit. A summer launch is expected in the U.S., so we should be hearing from Big Red pretty soon.